Anyone who likes to binge watch TV while cooking knows the pain of having to stop kneading dough to pause a show or move to the next episode. 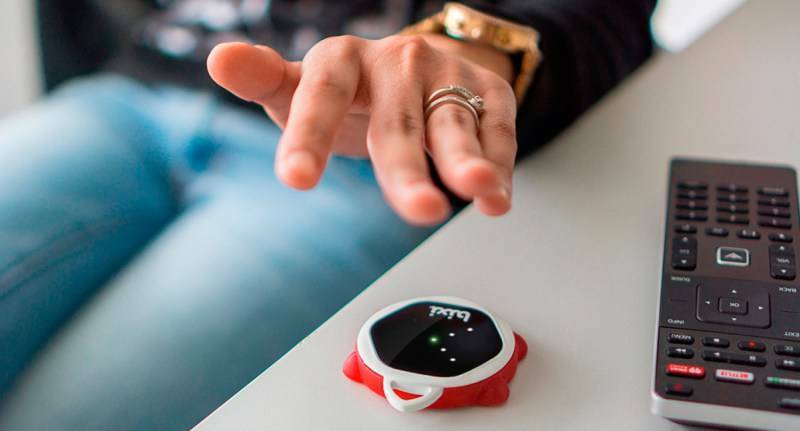 In comes Bixi, a device that’s the brainchild of French startup Bluemint Labs. It connects with iOS or Android phones and tablets via Bluetooth LE. However, Bixi does more than just control smartphones. 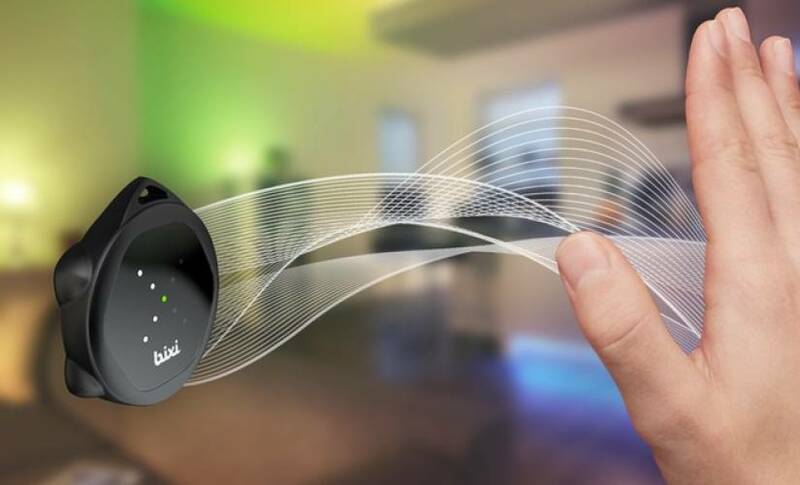 It can operate a GoPro Camera, adjust connected lighting or other smart home devices through gesture control. There’s also a built-in microphone and support for Amazon’s Alexa meaning it can accept verbal commands also. Bixi currently supports eight gestures, with the intention to add support for more types of gestures as people get more comfortable with Bixi. The device’s sensors easily differentiate between horizontal, diagonal, and vertical swipes. I spoke to Chief Marketing Officer Pierre-Hughes Davoine to find out more at IFA 2017. He explained that the company was currently in conversation with several automotive companies and OEMs to discuss the future integration of their technology into their products. The company intends to release the API of Bixi App to developers who can make new use-cases to be integrated into the main Bixi App via ‘In-App’ Purchases. It;s not the first time this technology has been proposed. Car insurers, Ingenie released research this year predicting the functionality of the cars of the future. They forecast that keys will be eschewed for a fingerprint sensor, iris scanner or other biometric systems to identify you as you walk up and open the door. The windows will have AR capabilities and embedded touchscreen. 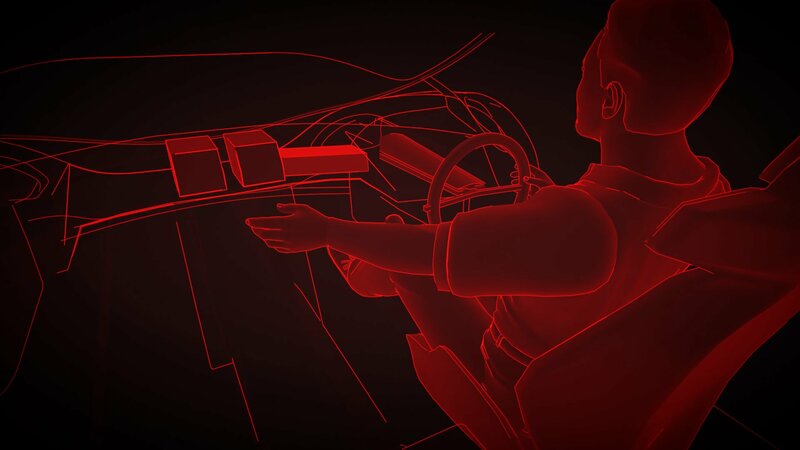 Some driving functions will be carried out through gesture controls and voice activation instead of buttons and a steering wheel. Founded in March 2016, German startup Kinemic takes Bixi’s ideas several steps further with not only gesture control but the ability to write in the air (as if signing your name perhaps) and click on an ‘air mouse.’ I’ve seen a demonstration of the writing capability in person and it’s something quite wonderful. 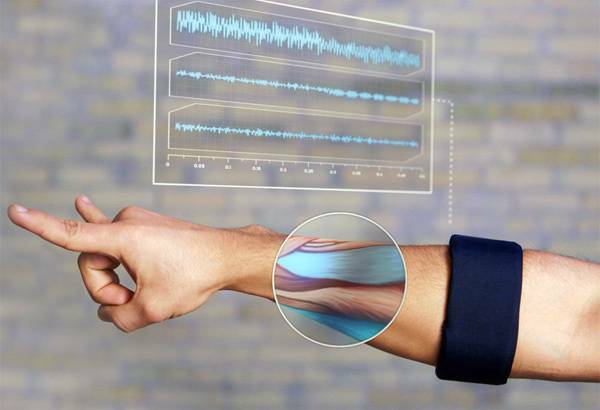 Kinemic enables the gesture control of digital devices – such as PCs, smartphones, wearables or AR glasses. Their focus is industrial customers can use the technology to improve their processes to become safer, more ergonomic and faster. They’ve piloted with the pharmaceutical and automotive sectors and won a place in the DeutschBahn (Germany’s national railway) MindBox Accelerator in July this year, providing them with hands-on access to the railway sector. A slightly earlier application is MYO armbands by Canadian based Thalmic Labs that uses, as the name implies, electromyography, a sensor technology that is typically used in the medical world, to pick up electrical impulses from muscles. These allow users to control computers, toys, and other devices. It uses Bluetooth 4.0 Low Energy to communicate with the device it’s paired with. The company offers SDKs for Windows, Mac, iOS, and Andriod. Some keen developers have already developed a plethora of use cases ranging from surgical applications to controlling drones. There’s even a marketplace for apps developed. Amazon’s Alexa fund invested in Thalmic Labs‘ US series B last fall although it’s unclear what the company will focus on next. As companies work to move us beyond our smartphones they are fundamentally changing the way we interact with devices. As voice activation is becoming more mainstream, it’s only a matter of time before gesture control makes its big splash.